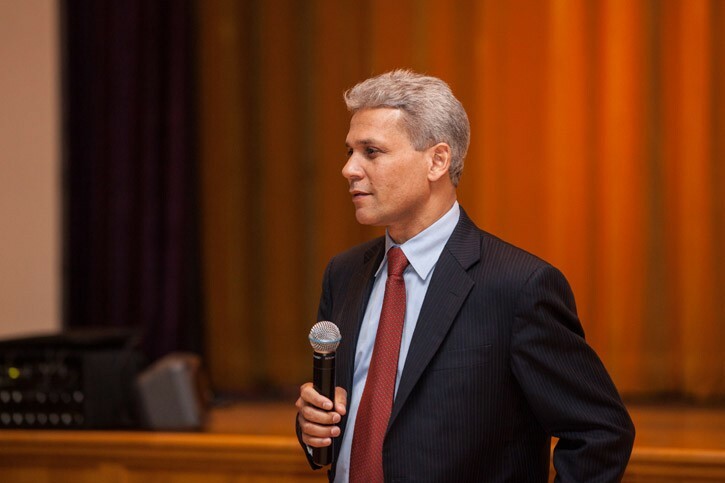 If the Rochester school district doesn’t start improving soon, charter schools will become the dominant force in the district, city schools Superintendent Bolgen Vargas said in a recent interview. “We can no longer continue to say that we are the district of choice if we’re not being chosen,” he said. The district lost about 1,000 students in the last school year, Vargas said — most of them to charter schools. “We have to prove that their kids can do better here,” he said. While charters have some momentum, he said, the district is responding. Instead of meeting his goal of having 10 schools open with expanded hours in the coming school year, Vargas said he is aiming for 14. He cites insufficient instruction time as the biggest hindrance to improving student outcomes in city schools. But he said he's also working on improving management and the overall operation of the school district. “We continue to do some irrational things,” he said. And he said that the district’s culture has to change, so parents and families are treated as welcomed customers. He recently reserved parking spaces up close to the central office building for families. But Vargas is banking on conversion charters as a game-changer for the district. He has proposed creating charter schools within the district. The conversion requires a majority agreement among teachers, but Vargas says he wants parents in the schools selected to have a voice, too. “The type of school I’m proposing has never been done successfully in New York State,” he said. “It would be a first.” Vargas says he wants the schools to operate fully autonomously from the district’s central office. There would be a two-year grace period, he said, and during that time, if parents feel they've made a mistake, they can transfer their children out of the schools. The schools would have five years, similar to most charters, to prove their viability.